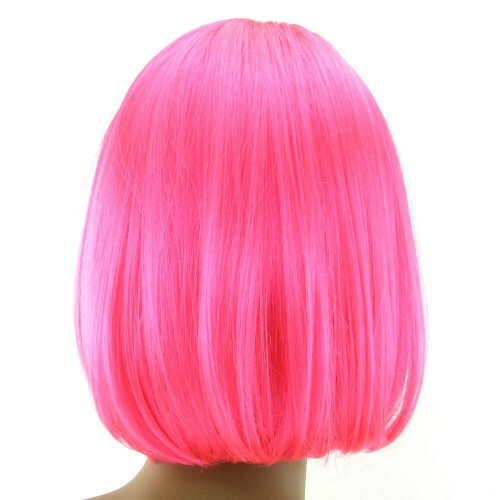 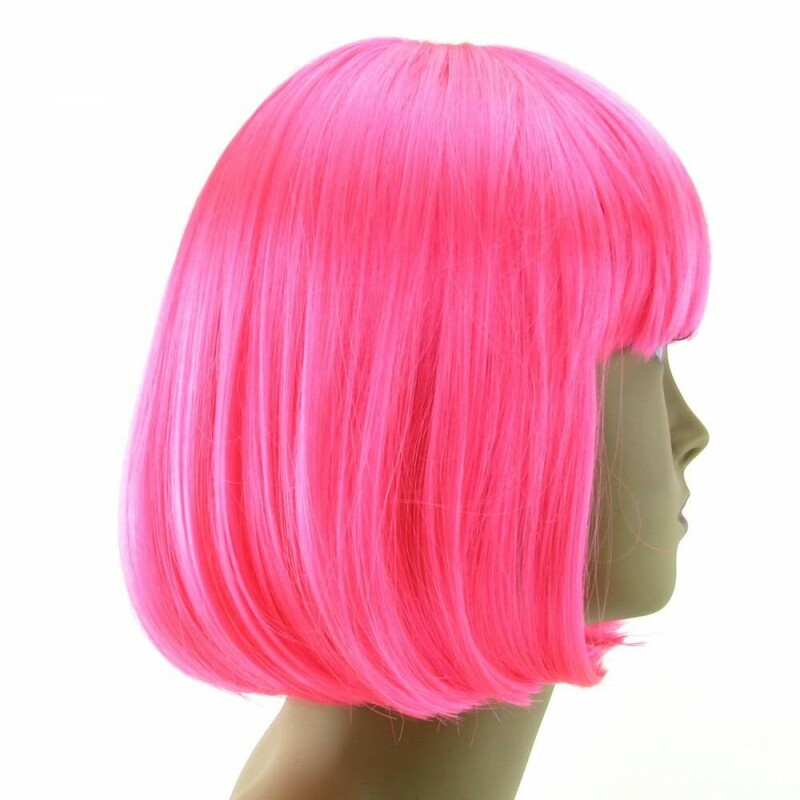 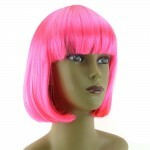 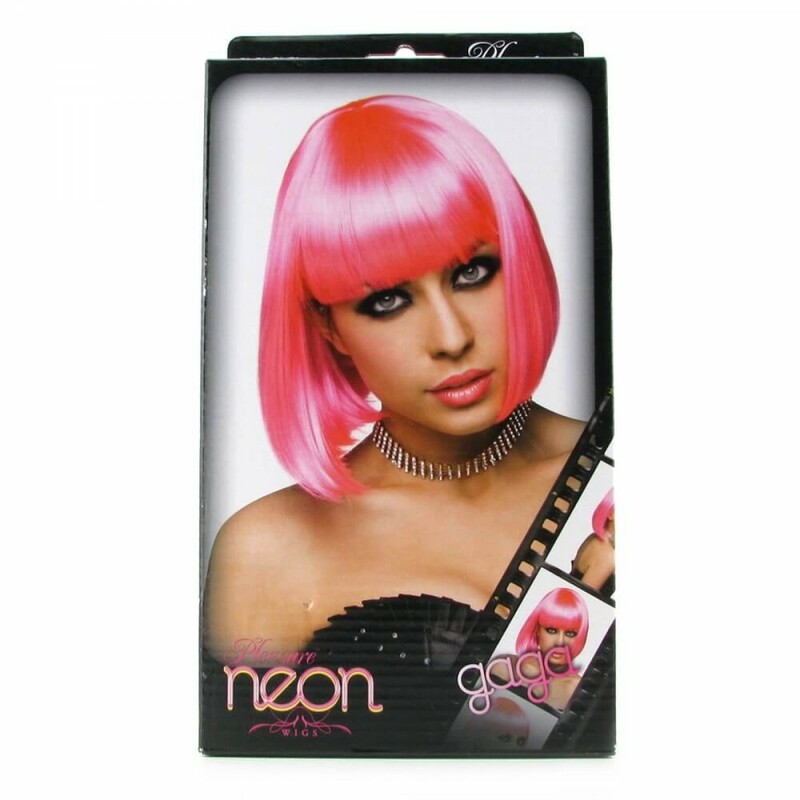 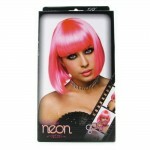 A sleek, shiny angled bob-cut wig in a eye popping neon pink, the Gaga is perfect for dress up play, costumes, role reversal and dreary days that need a big splash of color. 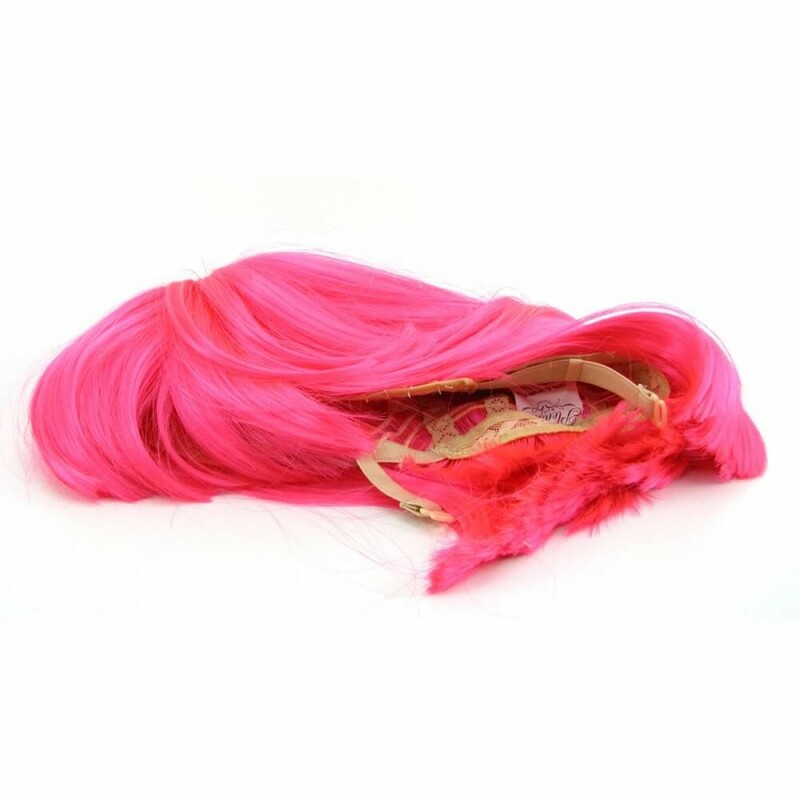 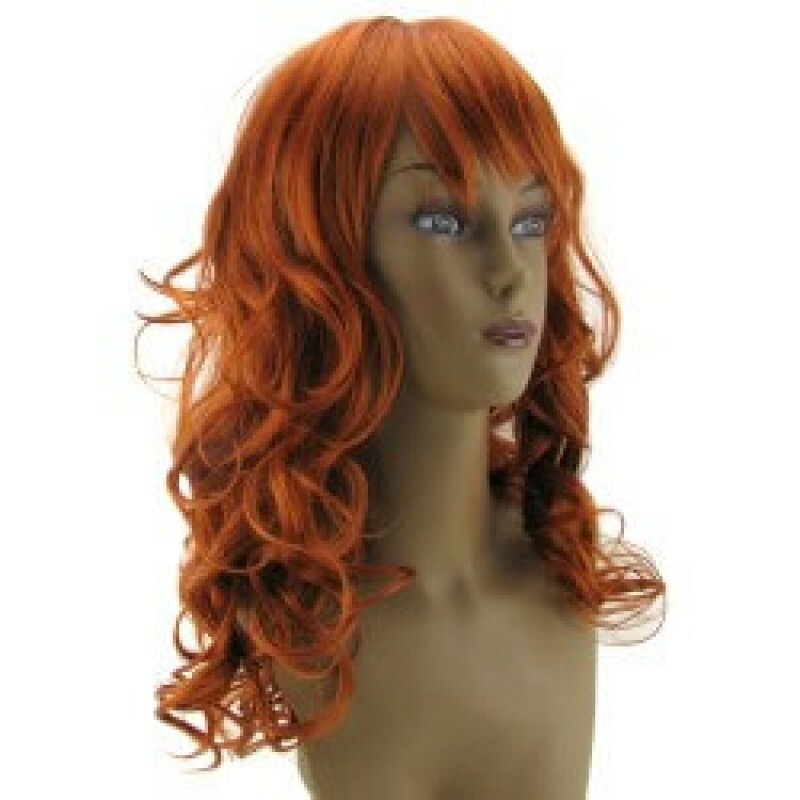 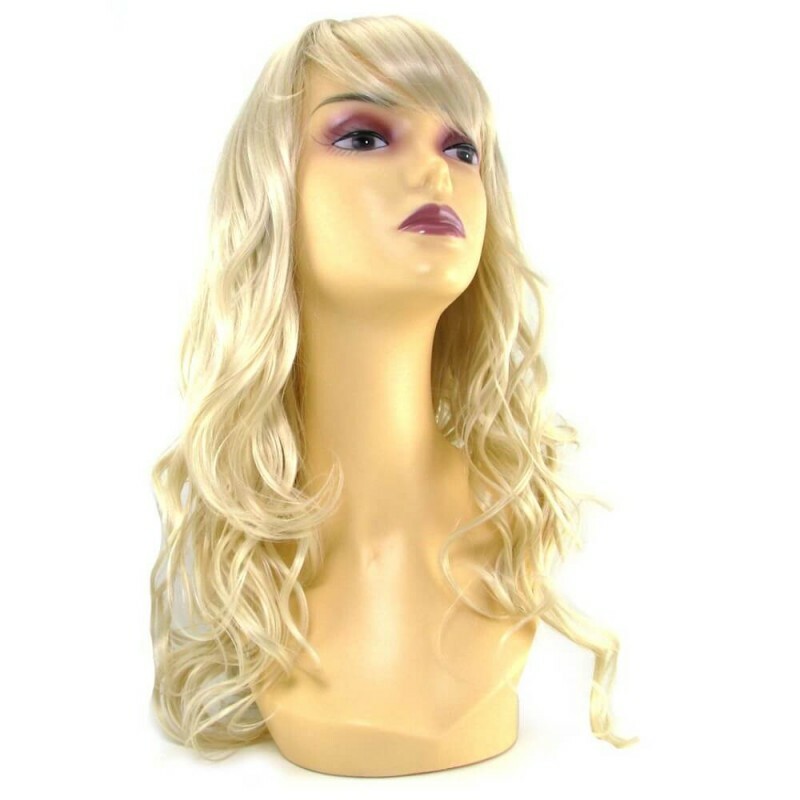 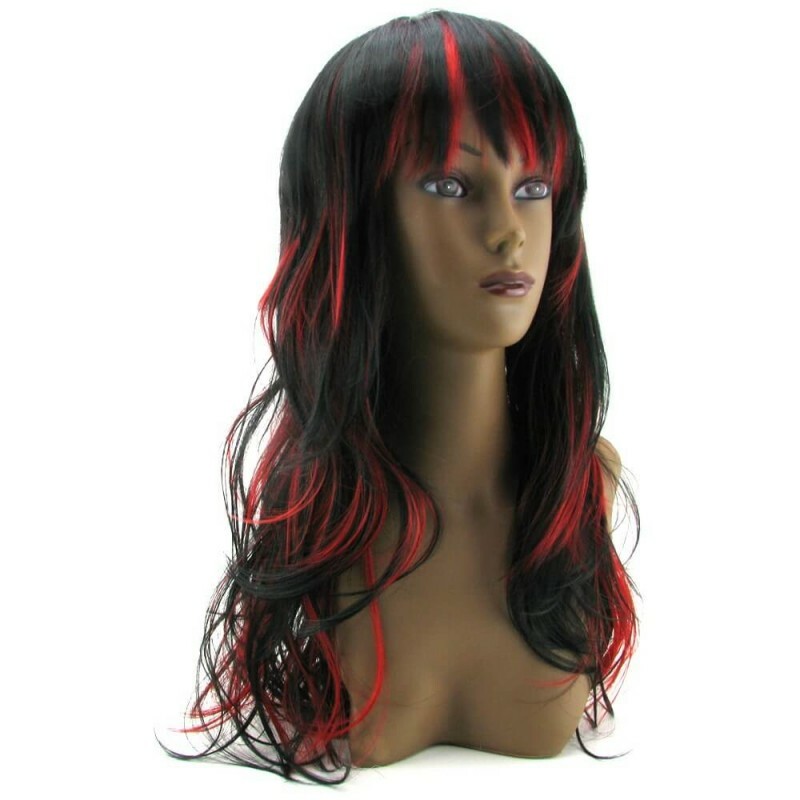 In high end, completely synthetic material, the wig sits securely on the head, attaching with adjustable straps and a thin, light lace cap underneath. 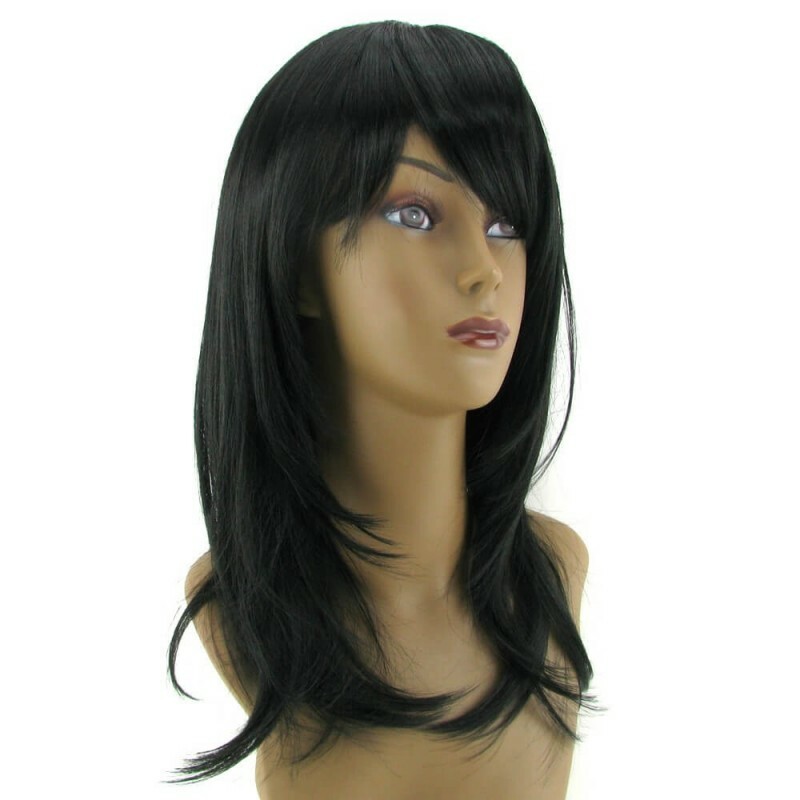 The Gaga is almost entirely maintenance free, just wash with a good wig shampoo, and shape before drying. Care instructions are included.